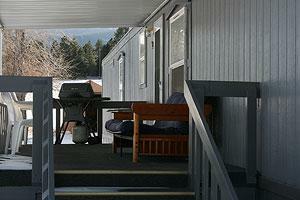 We have a range of lodging options for every type of vacation. 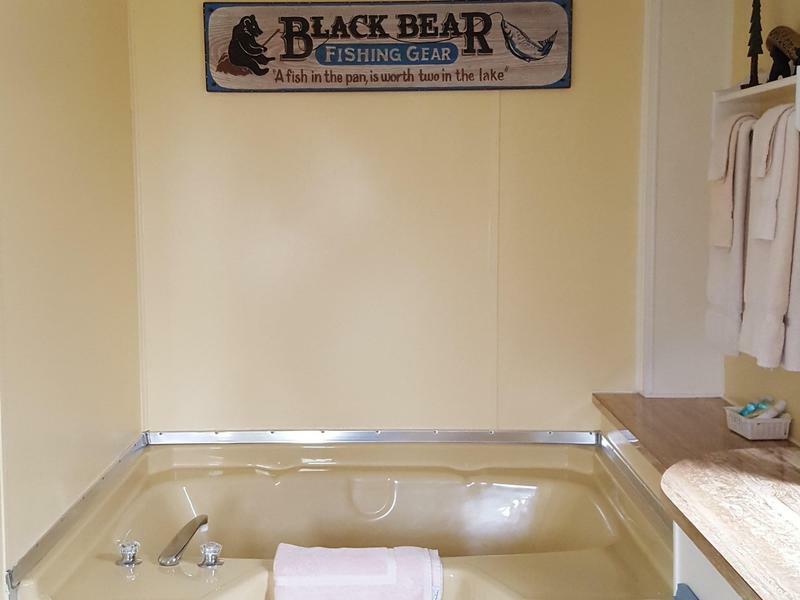 Whether you are a fisherman just looking for a place to rest before you hit the water or a family planning a vacation, we have the accomodations to suit you. 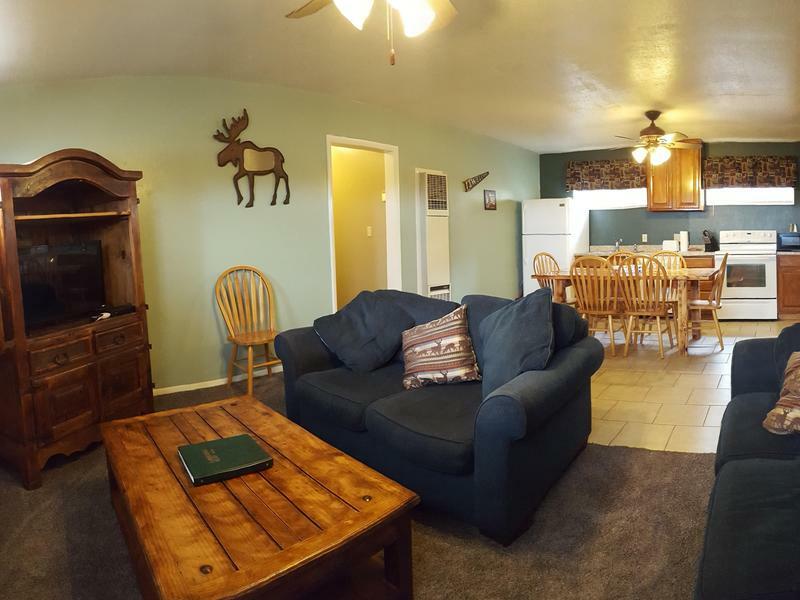 Here at the Flaming Gorge Resort, in the high Uinta Mountain tops near Flaming Gorge Reservoir, we offer cozy lodging to help ensure your stay is a comfortable one. 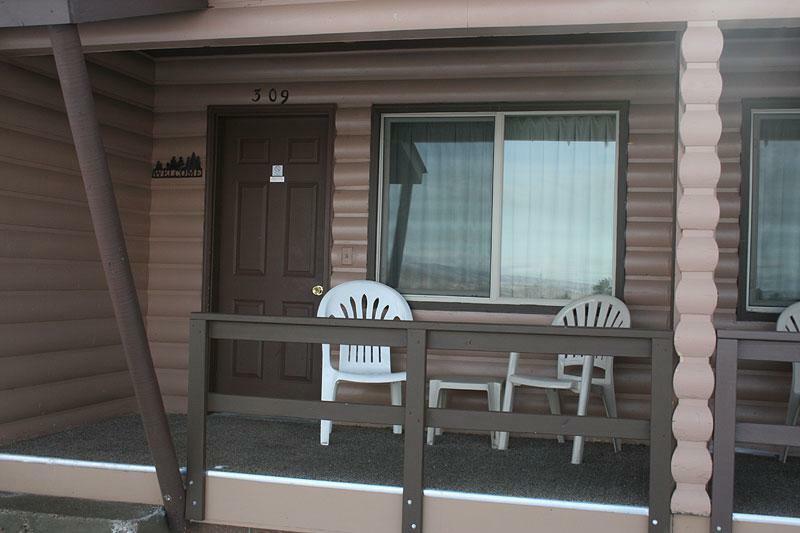 Enjoy the remarkable recreational opportunities in this part of Utah like river rafting, fly fishing, and hiking. 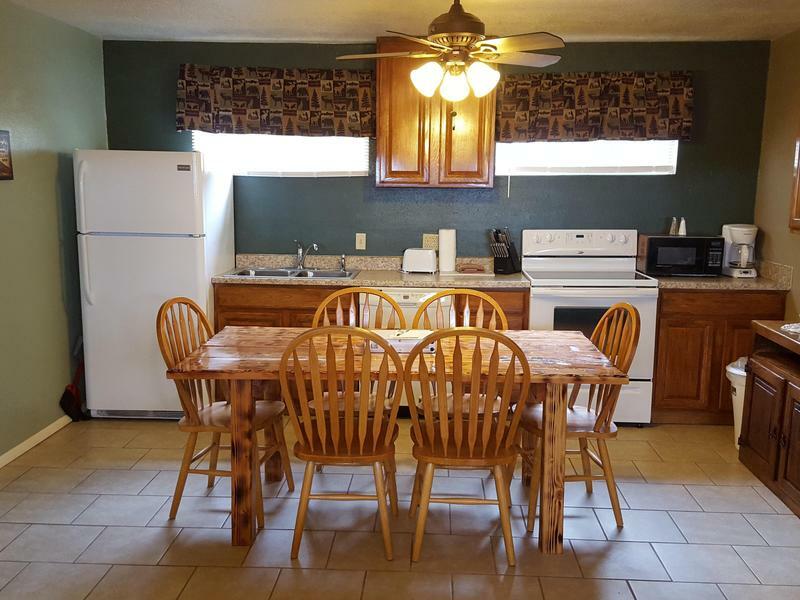 Enjoy a hearty, satisfying meal at the restaurant, or wander and shop at the gift and souvenir shop. Whatever your pleasure, our friendly and courteous staff will see to your every need to make this an enjoyable and unforgettable vacation! 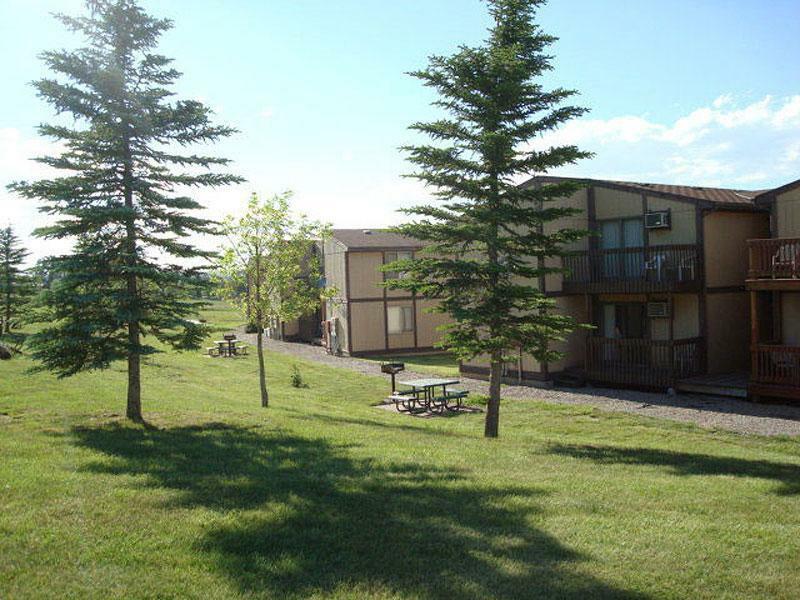 The motel rooms are located on the hill behind the Resort with an excellent view of our spectacular scenery. 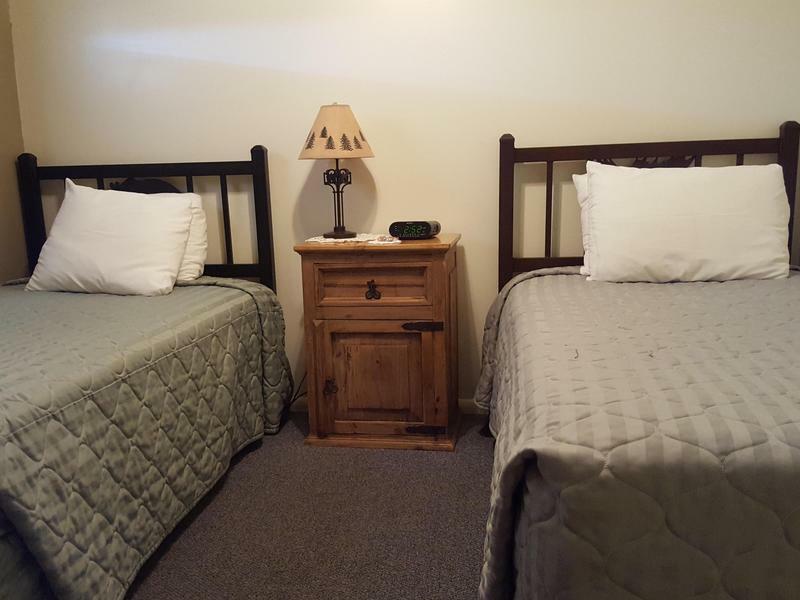 These rooms offer either two double beds or two queen beds. 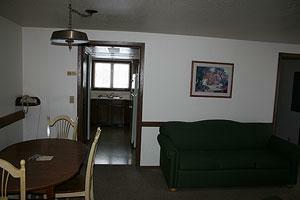 Each room includes a satellite TV. 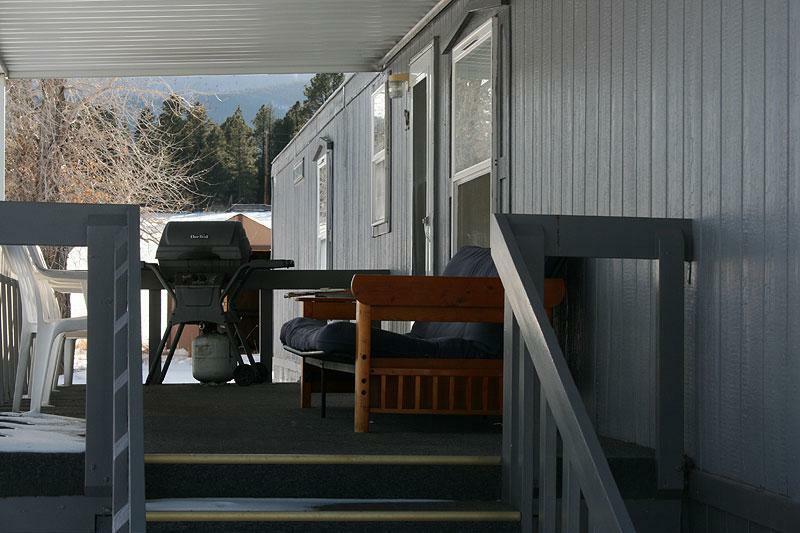 All the rooms here at the Flaming Gorge Resort offer wireless Internet and some offer private decks to enjoy the scenery. 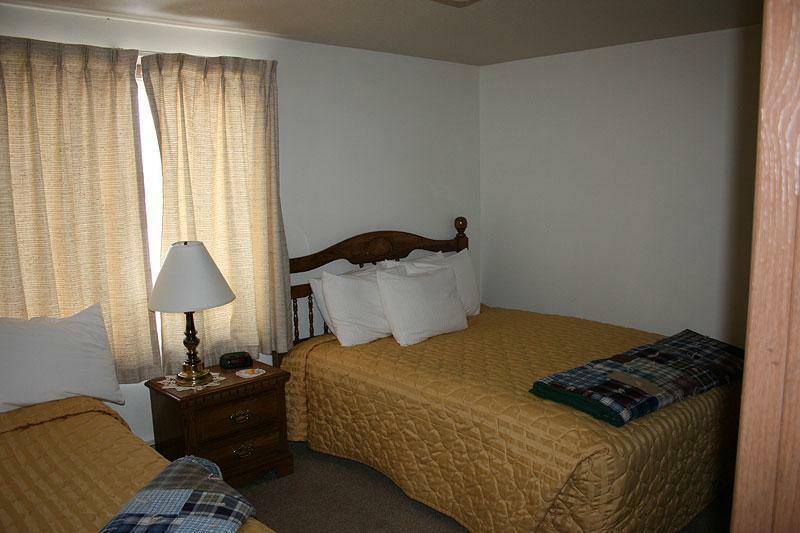 These newly remodel motel rooms are located behind the Resort on the hill with spectacular scenery. The rooms have two queen beds, bathroom with bathtub, air conditioning, electric fireplace, satelite TV and an outside porch to sit enjoy the beauties. 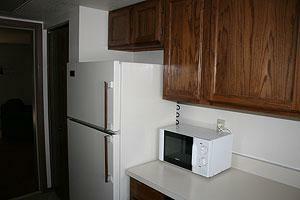 These rooms also include microwave, fridge, coffee maker, blow dryer, and wireless internet. 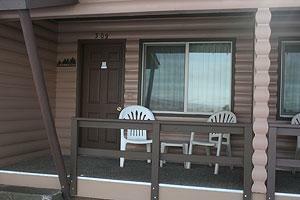 Each unit includes a queen and a single twin bed in the bedroom as well as a queen hide-a-bed in the living room. 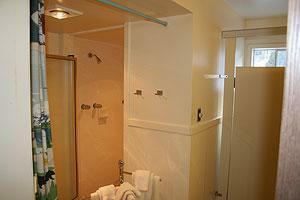 There is also a roll-a-way twin bed in the closet. 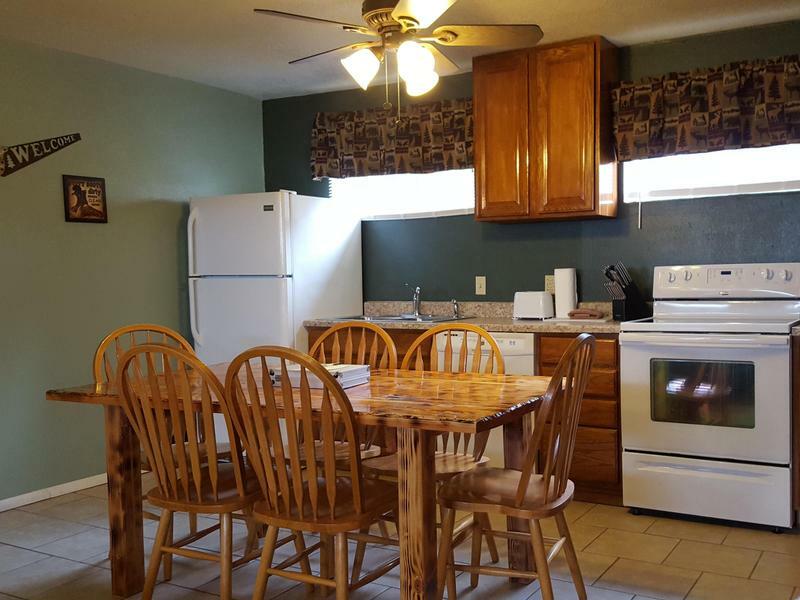 The suites here at the Flaming Gorge Resort have a fully equipped kitchen, satellite TV, air conditioning, wireless internet, and a private deck. 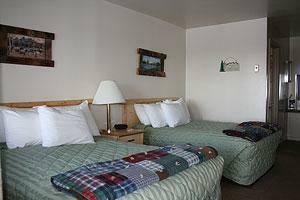 These are our larger of our standard rooms and can accommodate a few fishermen, two couples, or a family with children. 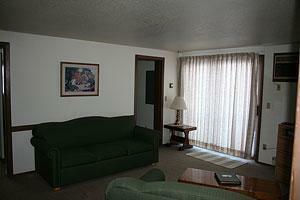 These suites can easily accommodate 3-6 people. 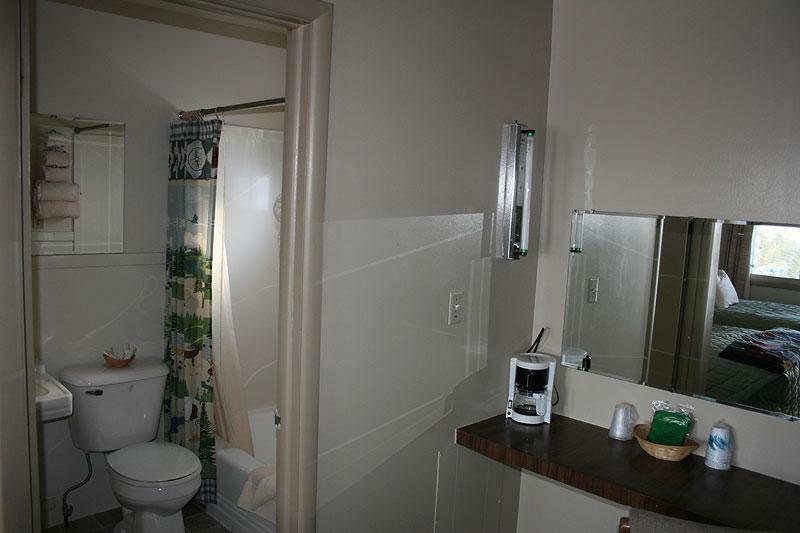 Group Trailer 17 - This group suite trailer has two bedrooms and two bathrooms. 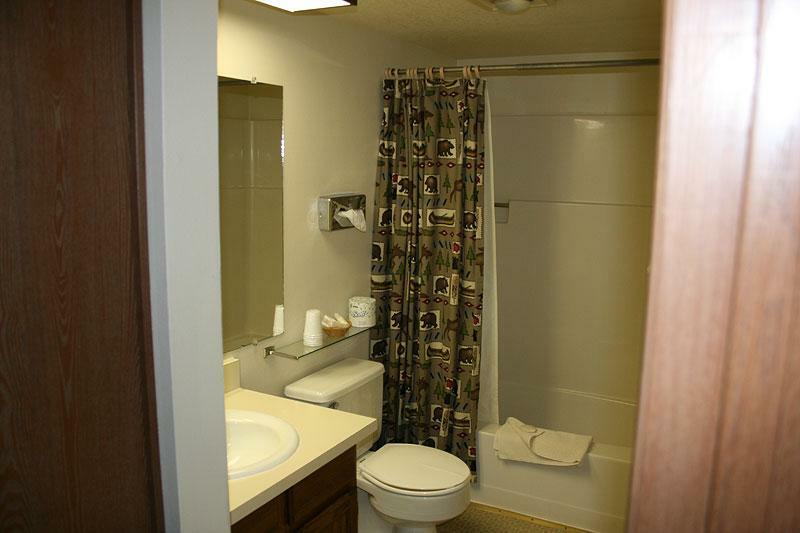 The first Master suite bedroom has a King size bed, television, and an on-suite bathroom with seperate shower and garden bath tub. 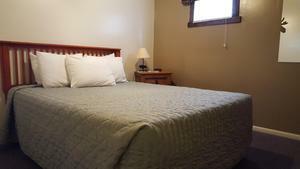 The second bedroom has a Queen bed with a full bath located just outside the bedroom. There are also 2 roll-a-way Twin beds in this suite. 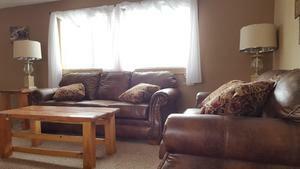 This can accomodate and sleep 6 people very comfortably. 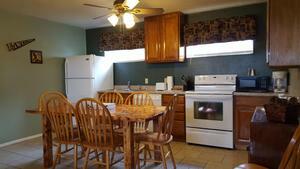 Has a fully equipped kitchen including a stove, refrigerator, dishwasher and microwave. 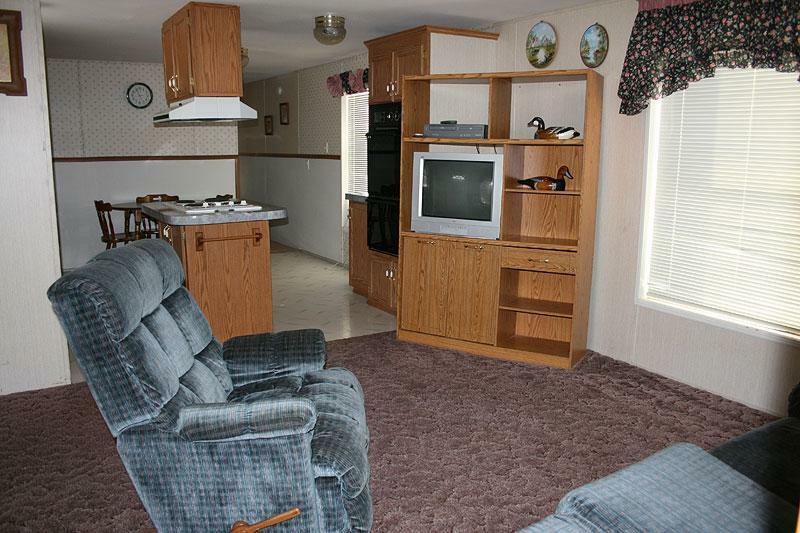 Has a living room with sattelite television. Has an outside covered deck with a propane BBQ. 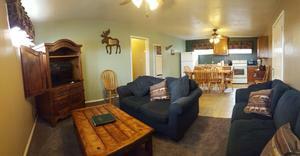 A great rental option for a family or two couples! 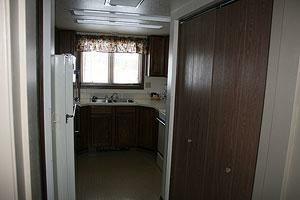 Trailer 20 - This group suite trailer has three bedrooms and two bathrooms. 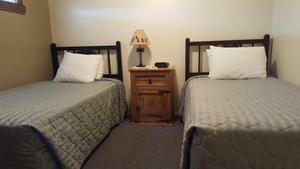 Each bedroom has one Queen bed. 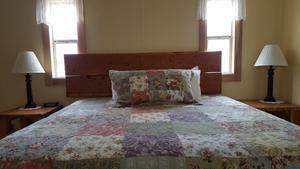 There is also one roll away Twin bed. 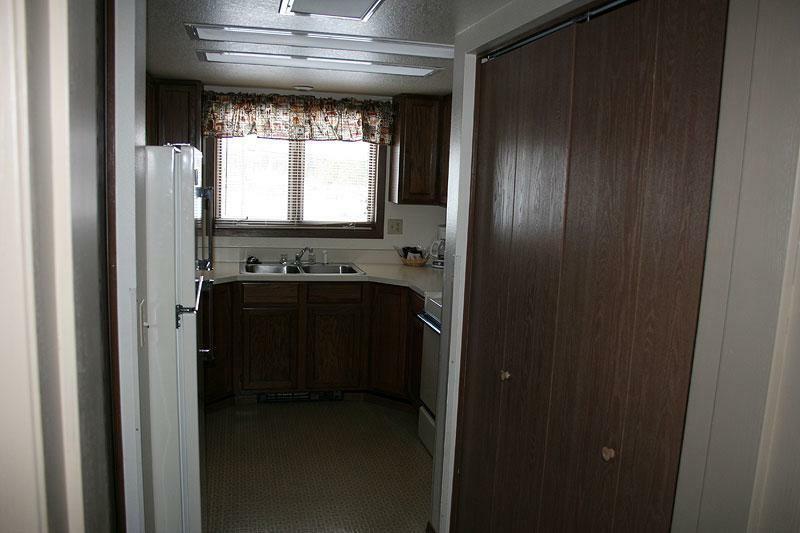 This group trailer can sleep 7 people comfortably. 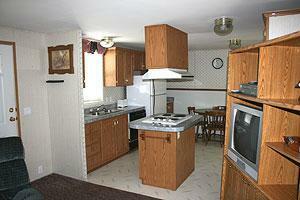 It has a fully equipped kitchen including stove, refrigerator, dishwasher, and microwave. 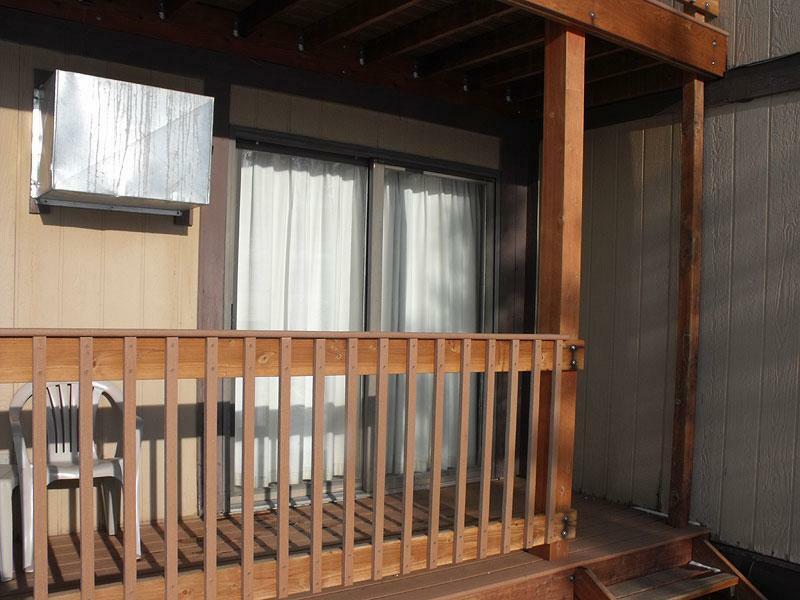 Has an outside covered deck with BBQ. 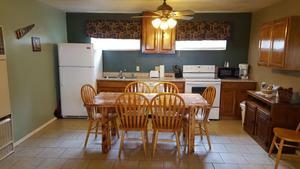 This is a great rental option for a family or a group of friends. Motel and Suite prices are for one (1) person. 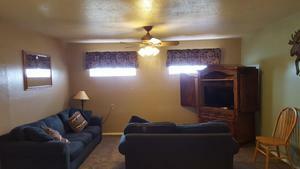 $10 for each additional adult. 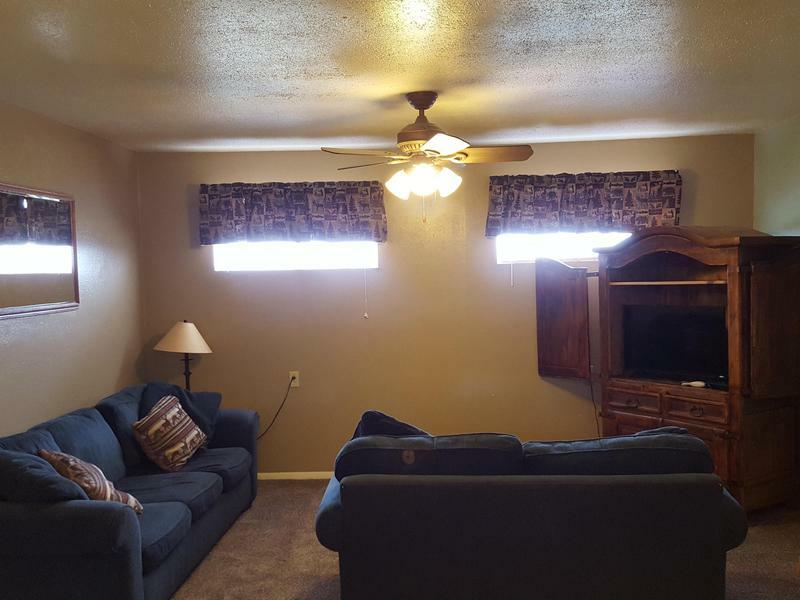 $2 for each additional child. 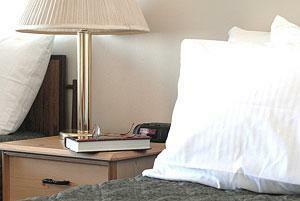 If you give less than 48 hours notice, you will be charged 100% of the amount of a one-night stay. 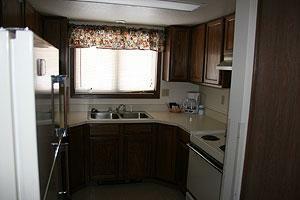 If you give more than 48 hours notice there will be no cancellation fee. 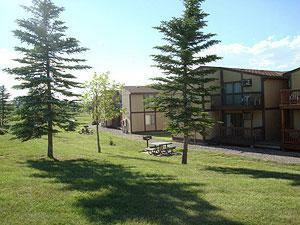 If you reserve 3 or more rooms we require a 7 days notice. If you give less than 7 days notice we will charge 100% of the amount of one-night stay for each room. There are pet friendly rooms available for an additional $20. There will be a $50 fee for having pets in a non-pet friendly room. Please call us to book a pet friendly room. 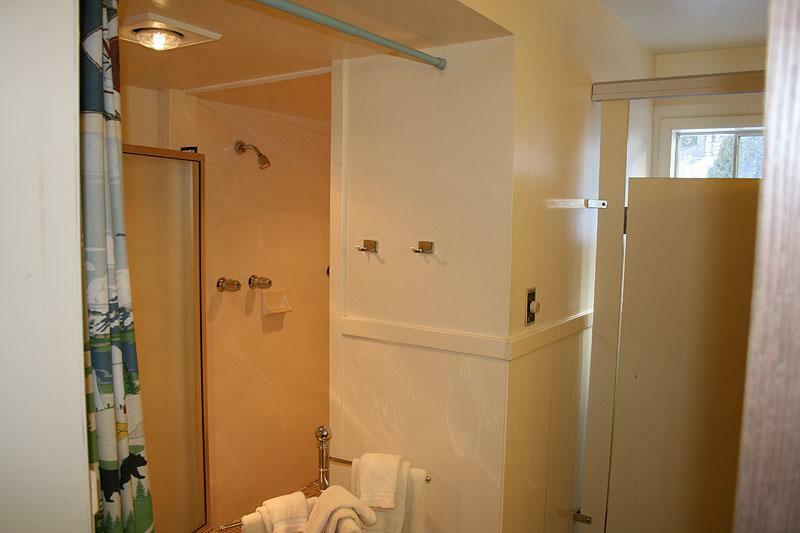 Smoking is prohibited in ALL rooms. 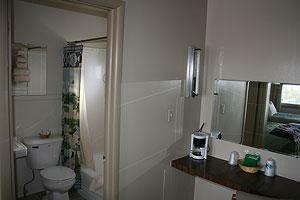 Smoking in a room will result in a $100 cleaning fee. These are newly remodeled rooms. 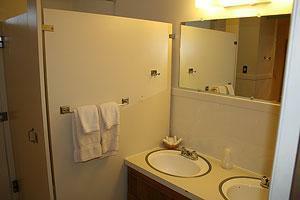 The first bedroom includes a queen bed, twin bunk beds, and satelite TV. 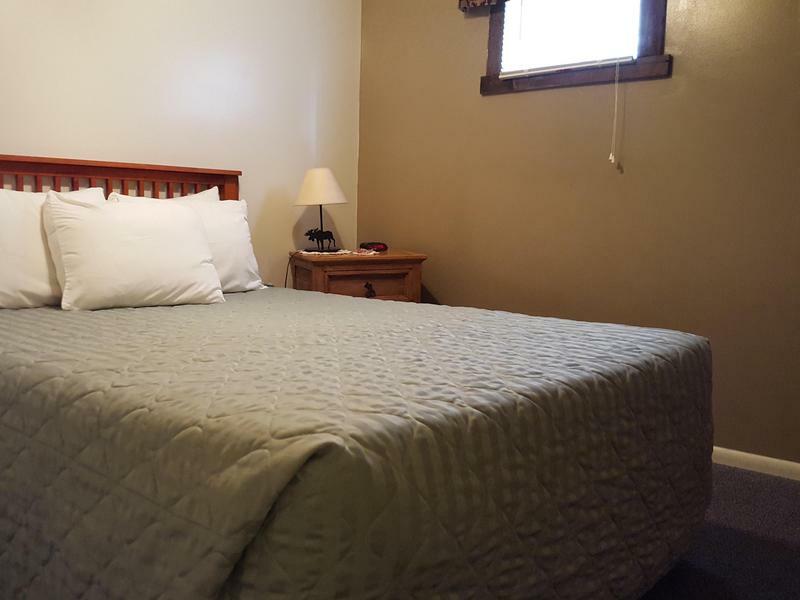 The second smaller bedroom includes a queen bed and satelite TV, there is also an additional roll-a-way twin bed in the closet. 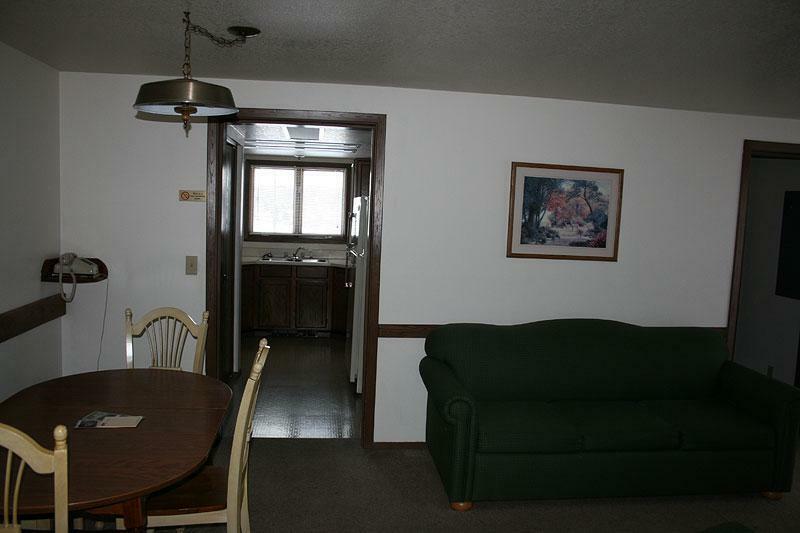 This family suite includes a living room with a full size couch that pulls out as a queen hide-a-bed, and two additional chairs and satelite TV. There is also a mini-bar which includes a sink, microwave, and small fridge. These family suites have air conditioning, wireless internet and a private deck. 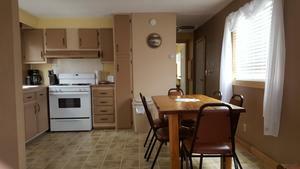 These suites can easlily accommodate 6-9 people.